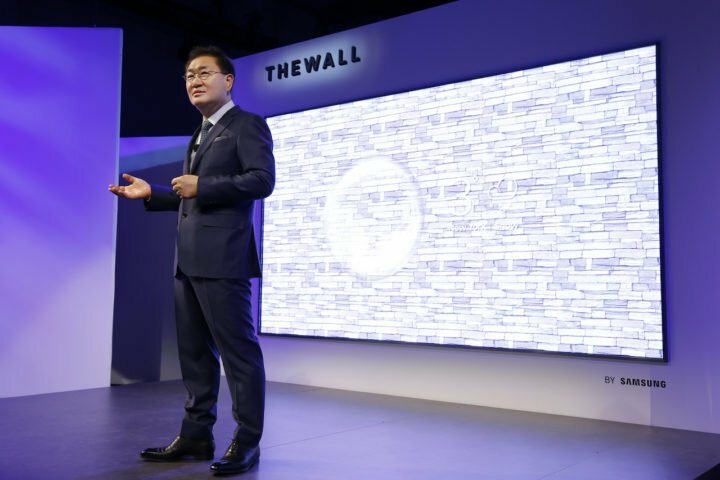 A lot of great companies are using the CES 2018 stage to reveal their newest products, but even in this crowded and busy space, Samsung stands tall as one of the true juggernauts in the consumer electronics industry. Needless to say, the company is right here and ready to showcase its latest innovations to the world: from ginormous QLED TVs, to smart fridges, to — hopefully — a new smartphone or two. Truth be told, we all know Samsung is going to leave the big smartphone announcements for next month's MWC, but hey, that doesn't mean we can't have some fun with all the shiny tech it's going to announce here at CES, right? Plus, who knows, we may still see a little something on the mobile front! 17:03 Thank you for being with us! Do check out our home page for a nice and juicy stream of CES 2018 news! 17:01 But still, Bixby on the fridge and the TVs... wasn't so bad. What do you think? Which new Samsung device appeals to you the most? 17:01 And just like that, Samsung has wrapped its CES 2018 keynote. We have to say, we expected more of you, Sammy! 16:55 Talk has now shifted to cars and infotainment systems. This is but a minor setback. 16:51 "5G is on the verge of becoming widely available." - Tim Baxter, President and CEO of Samsung US. 16:49 Don't know how excited we are about that. At least when put this way. 16:49 "2G put the phone in your pocket. 3G & 4G put the internet in your pocket. Now, 5G will put fiber in your pocket." 16:48 Samsung Flip will be available in the US and Europe this month. No price is mentioned at this time. 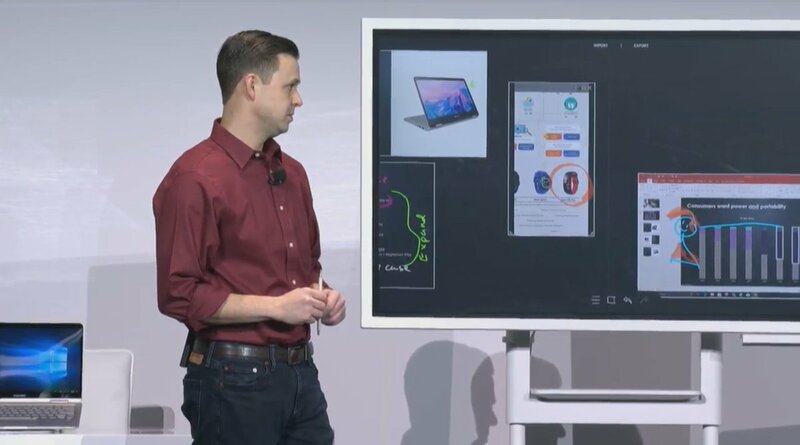 16:45 Samsung Flip is a new, digital white board that's designed to integrate with smartphones and other devices. 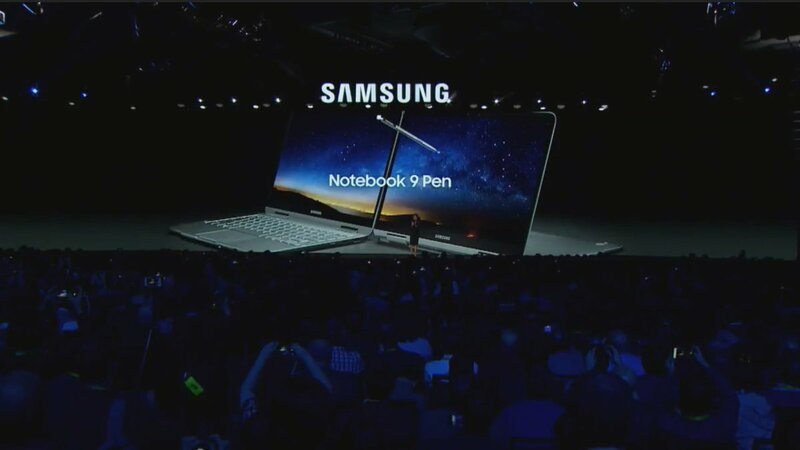 16:44 The Notebook 9 Pen runs on Windows 10, not Android. 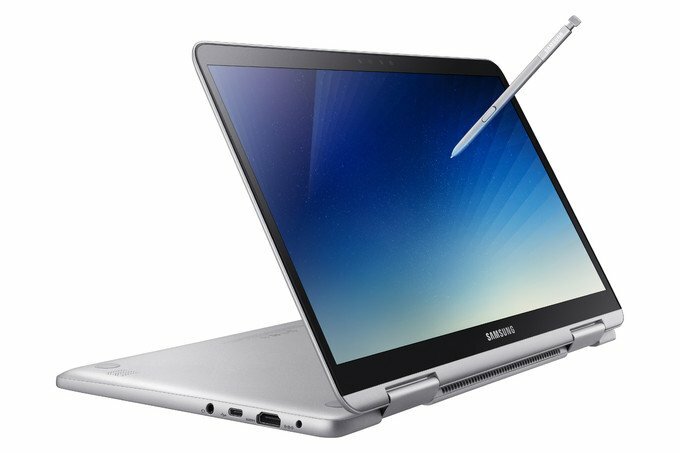 16:43 Introducing: Samsung Notebook 9 Pen - an ultra-portable PC with an S Pen. Weighs 2.2 pounds. 16:41 The Smart Things app will also be coming to the latest Gear S3 and Gear Sport watches. 16:39 And there it is, The Wall! Samsung's now-famous micro-LED TV, configurable in every shape or size you want! 16:38 With Bixby found everywhere, you'll be able to do stuff like checking your schedule from the TV, the fridge, everywhere! 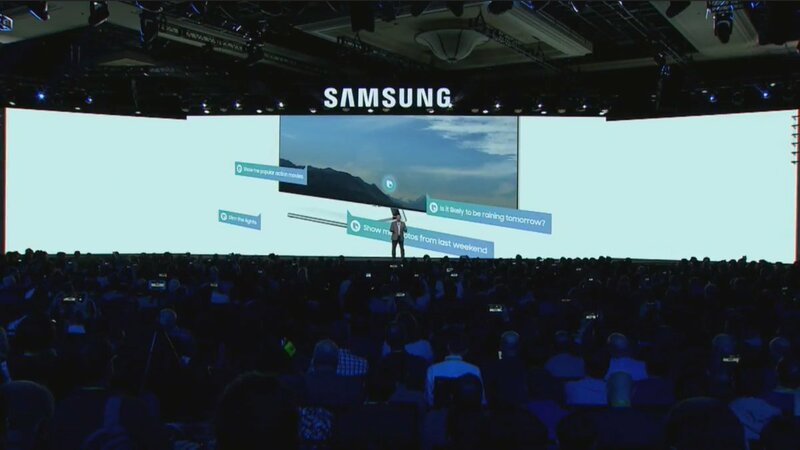 16:34 Samsung's new TVs will be easily configured (Wi-Fi, apps and all), using a connection with your smartphone (Android & iOS). 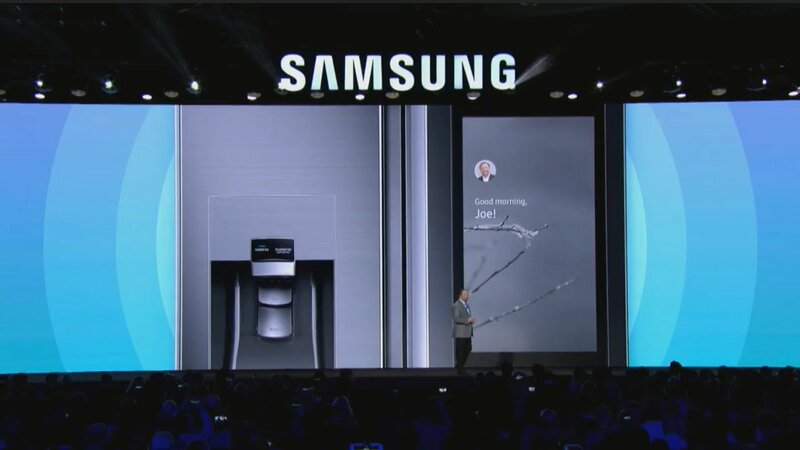 16:31 Bixby will also be on Samsung's Family Hub (the big touchscreen found on Samsung's refrigerators). 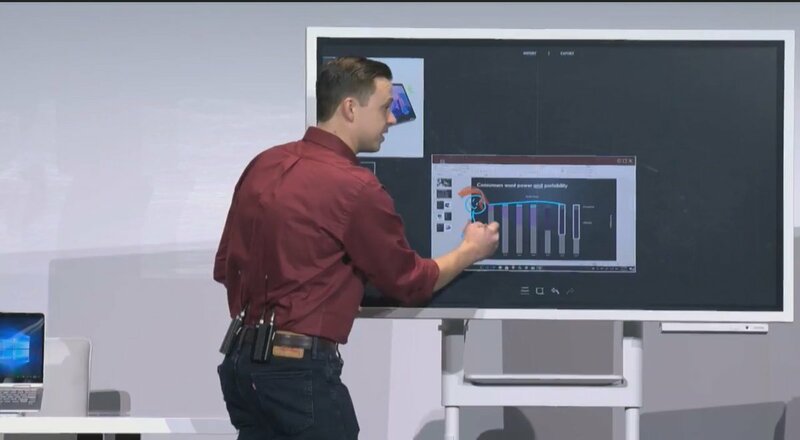 16:28 Also, they'll have Bixby! 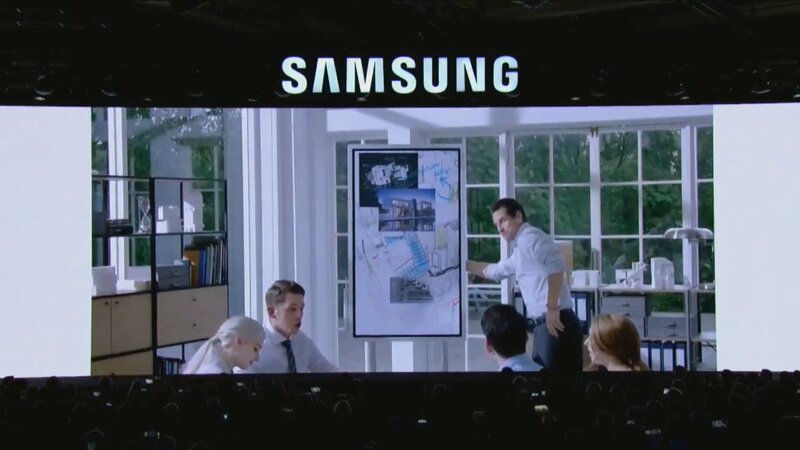 16:28 When you don't know what to watch, Samsung's 2018 TVs will have a feature to suggest you great content. 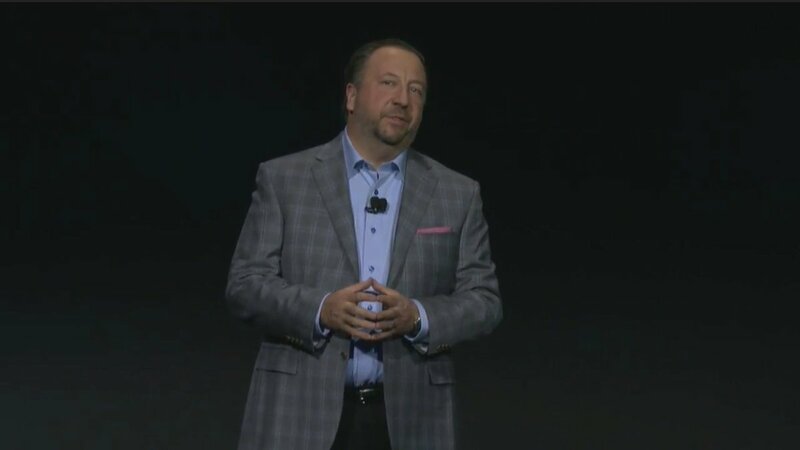 16:26 Joe Stinziano is here to talk us through Samsung's line-up of TVs. 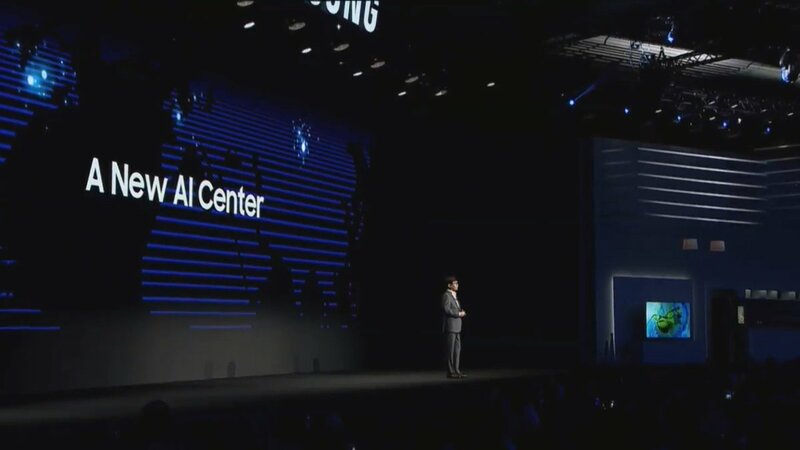 16:22 "By 2020, all Samsung connected devices, will not only by IoT-ready, they'll also be intelligent!" 16:22 "We're taking Bixby to the next level. Intelligence." Hell, it's about time! 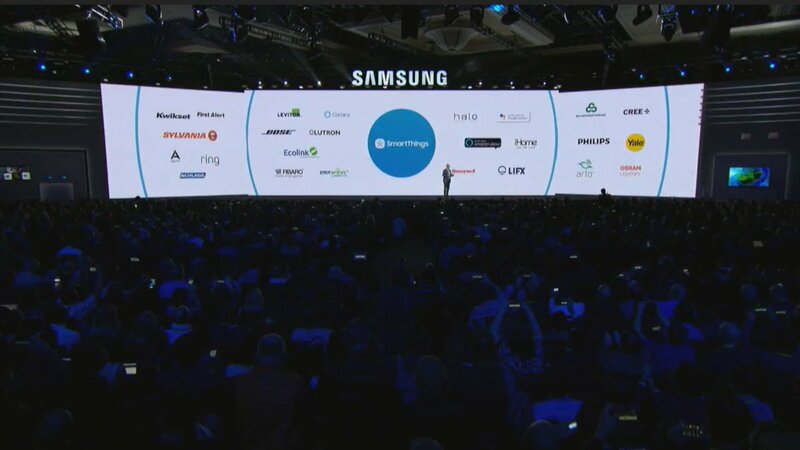 16:20 SmartThings Cloud will be a single platform for developers to create IoT solutions. 16:18 A new Smart Things app will be a one-stop shop for controlling all kinds of connected devices. 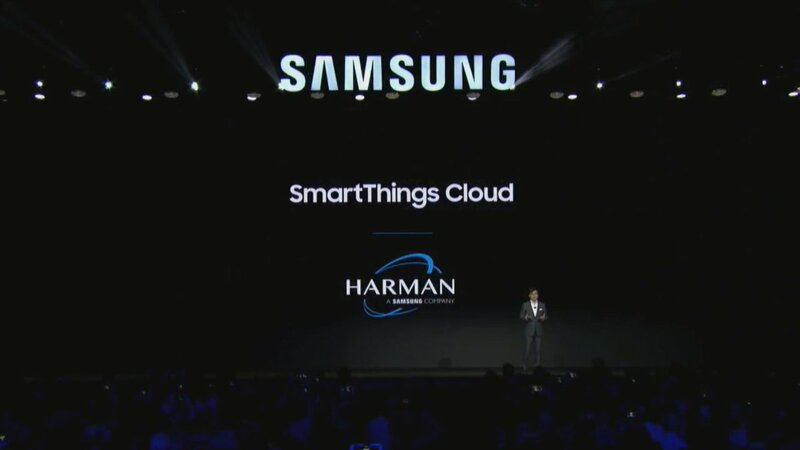 16:17 According to Samsung, IoT has been getting more complicated than it should, so it's introducing a one solution to control it all. 16:14 "We believe IoT can and should make consumers' lives easier." HS Kim will be sharing some of Samsung's IoT device strategy. 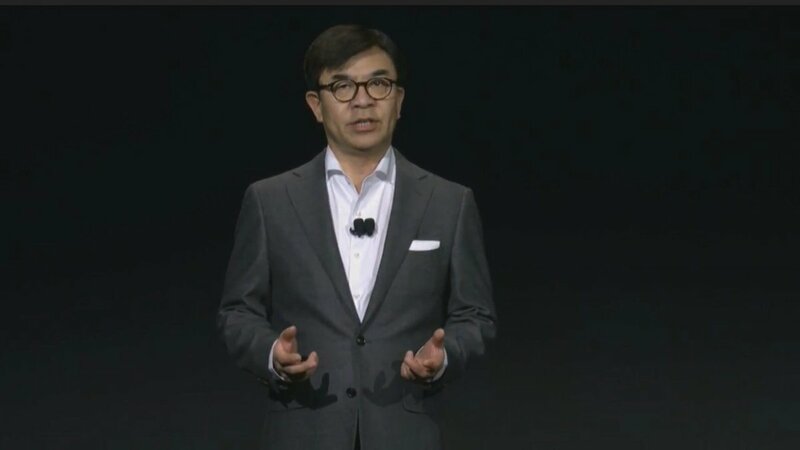 16:13 HS Kim, President of Samsung Consumer Electronics takes the stage now. 16:12 The protection of Knox is coming to consumer-level devices, including Samsung TVs and other smart things. 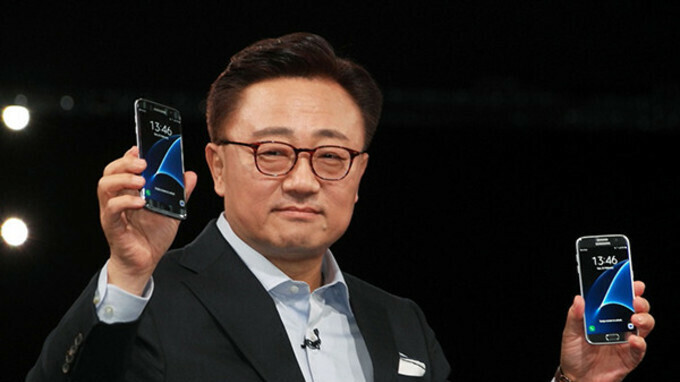 16:11 "Globally, Samsung sells almost 1.5 billion connected devices a year." 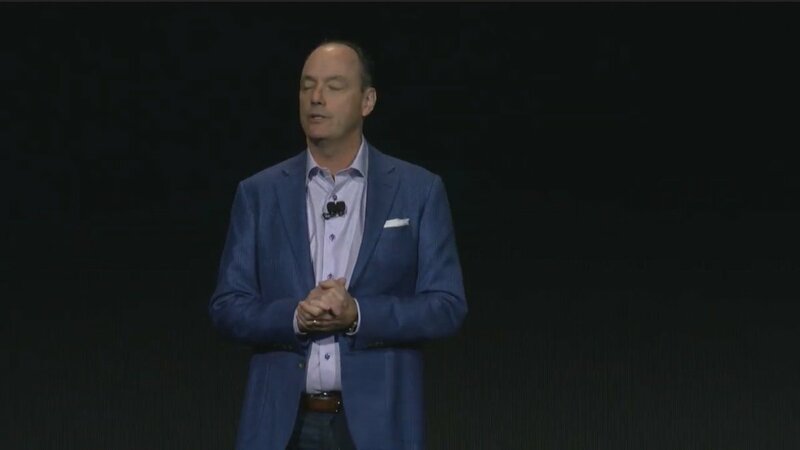 16:10 "All Samsung devices will be IoT enabled by 2020." 16:07 Samsung's Next project is investing heavily into IoT, AI, AR & Autonomous Driving start-ups. 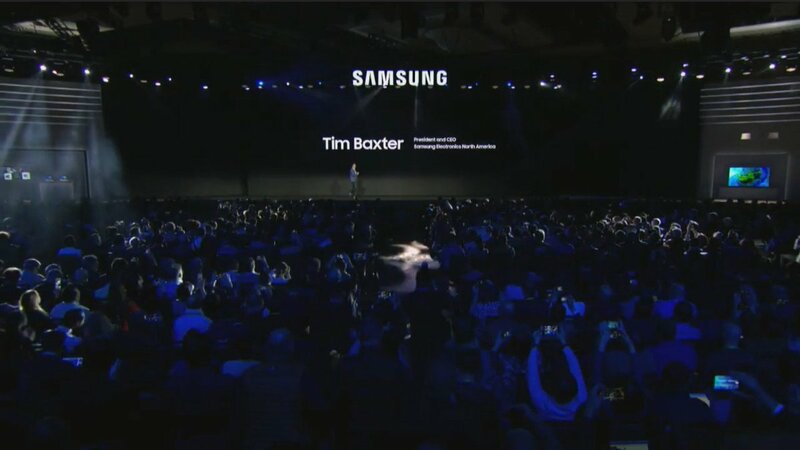 16:04 Tim Baxter, President and CEO of Samsung US, is on stage. 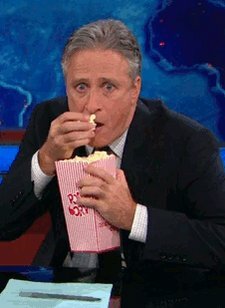 15:58 The event should be starting any minute now, people; now's the time to grab the popcorn. 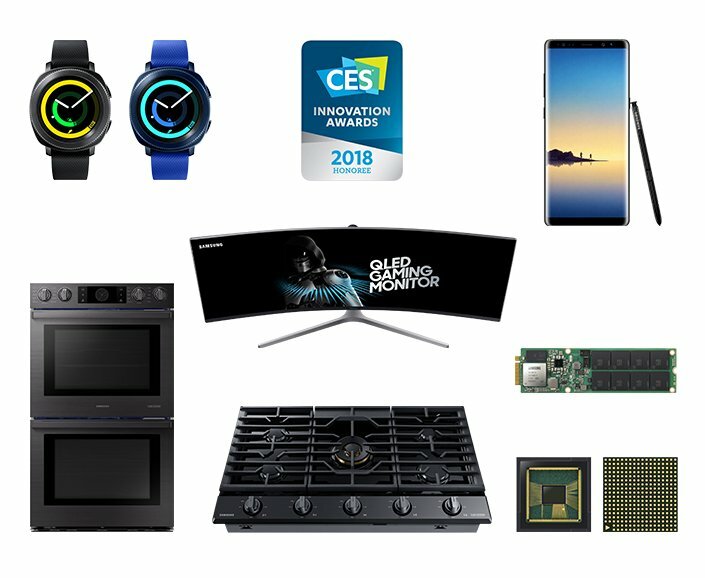 13:32 Samsung's line-up, honored with the CES 2018 innovation award... before the whole shebang has even started! I wish they would understand that literally NO ONE wants Bixby. Speak for your self. You don't know what everyone wants. Bixby can come in handy and I don't mind it. Why does anyone want to speak on behalf of others?